Turkey is one of the first countries to establish military and civil aviation. 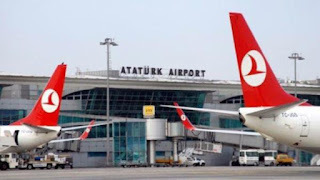 The inauguration of Atatürk Airport (formerly called Yeşilköy) dates back to as early as 1912 whereas Turkish Airlines, the national airline of Turkey was founded in 1933. Due to the vaste territory of the country, air travel has been an essential way of either domestic or international transportation. The national target of the authorities concerning aviation is to construct an airport at every 100 kilometers within the country. 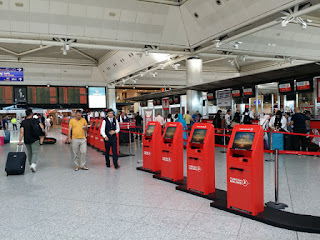 Country's largest and busiest airport is by far Istanbul Atatürk Airport (IST) with more than 60 millions passangers yearly. Atatürk (IST) is followed by the second airport serving the city, Sabiha Gökçen Airport (SAW), with around 28 millions passanger. The third busiest airport of the country is Antalya Airport (AYT) with 27 millions passanger.